While I know there is activity around directory listings in terms of SEO value, for me the bigger value of listing on a directory is that you are potentially increasing your own chances that your business will be found by an “attractive” business lead – a customer. Certainly if the Thumbtack directory can deliver on their promise it could become a great source for me (and for you). So I’ve taken the leap, and you can now view my Thumbtack profile here: Premium Digital Identity Management. They even went so far as to provide me with a nice keyword link which by posting on my site might garner me 30 more points. Technically I believe they require that I post their badge in order to qualify for the points so we’ll see…. In addition they have a program in place that will provide my account additional points should anyone else join their service – so feel free to poke around Thumbtack using my Thumbtack ambassador referral link. The points add up to a higher placement within their network but as with all directory services there is a classic chicken and egg dilemma – try to provide your own equity early in order to “place” higher or take a wait and see approach and ask that a service “proves” it’s worth before placing too much of your own brand equity into it? If you’ve read my blog with any regularity, you know I have in the past mentioned the early adapter value when it comes to new services. With Thumbtack in particular I have taken a hedged approached BUT I have also gone a bit further with this post and I will also be following up with the representative that originally contacted me which I am guessing will garner some good will. I am very interested to see how this directly listing differs from other and how the inbound traffic I see here at Gadarian Digital impacts my bottom line. In terms of the particulars of Thumbtack, I think their user interface (UI) is very well done, their service is both easy to understand and to use, and the sign up process is very straight forward. I also like that they appear to be very motivated and are actively reaching out to vendors that they feel they can deliver value to. Lastly, I think they have done a nice job of allowing business owners to create attractive profiles – as you can see from mine I have included a picture as well as a few videos – all done in under 10 minutes. the second which I believe is even more valuable is that you should continually be experimenting with new services to see what works for your particular space. In terms of my own results, I’ll keep you posted over the next few weeks. Hopefully we’ll be able to bring you some jobs soon. Most people haven’t heard of us – but we’re seeing that change with time. We have pretty good placement in a bunch of Google queries, and we’re always working to improve the experience consumers have through our site. Hopefully we’ve made it a bit easier for them to find you online! Please let us know if there’s ever anything we can do to make Thumbtack better. 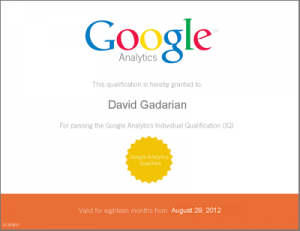 @Gadarian Thanks, David – we’re really excited about where this money can take us. what if you added something that makes people want more? I mean Thumbtack Directory Listing For Small Business Owners is kinda boring. or a picture or two to grab people interested about everything’ve written. Thanks for the nice suggestions…. Thumbtack is not a good business to be listing your business. They say you can ask general questions – I’ve had both of mine denied so they can get their 5 dollars referral, regardless of whether either of us – the consumer or the provider, are going to work with the other. I teach music and asked the general question if she would consider traditional style rather than Suzuki. They denied it. That question would apply to a lot of teachers, and to pay $5 for that, or $10 because there are siblings is rediculous. There are other websites to list where they give you a lot more info after you pay for the referral, and are much easier to deal with. Would NOT recommend this company as a place to list your company. Don’t appreciate the style of their admin. carol440 Thanks Carol. I’ve been with Thumbtack for a while now and I’ve observed that they are pretty quick in terms of evolving their approach (in this particular regard I’ve been quite impressed) so perhaps in the future they might tilt towards a better answer for your use case. Sorry you had a bad experience over there but I appreciate you sharing your thoughts!